After using windows for the longest time, I felt the need to move to android. The current phone that I use is good enough, but not great. Also it has been more than six months since I have used this one. My husband and I have been wanting to change our phones for a while now. Yeah, this is a tradition that we have followed since we started seeing each other. We both buy the same phones and at the same time. It is really important to us and a lot of our work gets done on the phone. My husband is a social media marketeer and I am an avid blogger. All my comments get published via the phone and I even read up a few blogs through the phone. Then a shop a lot via the phone. Another application that is really important for me is Instagram as I upload a lot of pictures online. My husband tweets like there is no tomorrow and it is very important to us that our phones help us get all these tasks done without any compromise. With a whole lot of new phones doing the rounds and a lot of invites being sent, we are confused as to what phone to buy. Each phone is as different from the other as it is similar. ASUS is a brand that I trust when it comes to laptops and I have heard really good reviews about the ASUS phones as well. So I spent some time in doing research to understand what is it that makes these phones so special. And when I was done, I realized that the new ASUS Zenfone 2 could redefine our smart phone experience and be the perfect assistant to us. 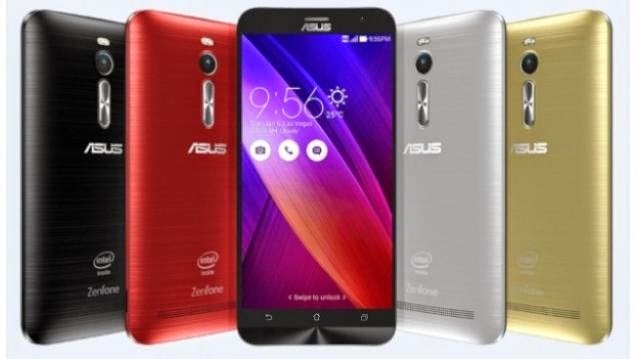 ASUS ZenFone 2 is world’s 1st smart phone with 4 GB RAM. This sounds perfect for a multitasking couple like us. I usually have atleast four apps open on my phone and struggle when the phone hangs. With the 4 GB RAM this problem would easily be eliminated. My husband and I are both not the ones to play games on the phone. We need the phone for more serious activities and this would be the best phone for us. Also since we both are on the go most of the time, we hardly find time to charge our phones. Both of us carry a power bank with us all the time making the entire charging process very tedious. The ASUS Zenfone 2 supports ASUS-exclusive technology that charges devices much faster than normal speeds and this helps the phone charge up to 60% within 39 minutes. How quick is that? Now comes my Instagram craze. This device is the perfect thirst quencher for me when it comes to photos. The ASUS Zenfone 2 has a pixel master camera that captures stunning, high-resolution photos with zero shutter lag and it employs pixel-merging technology to capture up to 400% brighter photos at night, or in low-light scenes, without the need for a flash. So no matter what time of the day it is, I am now free to take as many pictures as I want under what ever light I want. The phone looks sleek and is compact and can easily fit into the back pocket of my jeans or my clutch. And another reason why this phone if perfect for us is the price. At under 15,000 this phone is the best in its range and is easily affordable. I'm looking forward to redefine our smart phone experience as we wait for the arrival of our new ASUS ZenFone 2 smart phones.